Here are some highlights of my recent and notable work, some available to view and some just described to give you an idea of the types of clients with whom I’ve worked. Please download my full CV to see more of my portfolio or, for the big picture of my background, visit my LinkedIn page. I did a last-minute short talk about my Graphic Continuum project. I spent a couple of days at Facebook in early 2018 to talk with other experts about big data, research, data ethic, and more. Here is my two-minute take on researchers using big data. I delivered the Methods Lecture at the National Bureau of Economics Research Summer Institute in the Summer of 2017. There are three such methods lectures over the course of the overlapping workshops and conferences taking place in Boston each year with the top economists in the world. I was honored to be invited to talk to analysts, researchers, and professors about how to improve the way we communicate our research and our work to make that work more impactful. NBER SUMMER INSTITUTE SCHWABISH PRESENTATION Sequence.02 from NBER on Vimeo. I have made it my mission to help people improve the way they communicate their data, because if you can’t communicate your research, then it helps no one. Whether you’re communicating data to a member of Congress, a member of the press or public, a colleague, or another researcher, the key is to consider what the audience needs and how you can help that person find insight in your work. But how do you do this? How do you create visualizations that meet the needs of your audience and help them achieve success? In this TEDx talk, I present two ideas that I believe can help you on your way to creating visualizations that can deliver content that your audience can use and act upon. Jon Schwabish at TEDxBigData October 2016 from Jon Schwabish on Vimeo. The word “stories” has become synonymous with visualizing and presenting data. But contrary to what most people actually mean, most of us do not tell stories when we visualize data. In this talk, I investigates how we define storytelling and contrasts it with a definition of storytelling to demonstrate how most of us are not really telling stories with data. Drawing on a variety of sources, I distinguish storytelling from narration and annotation. I then examines how different fields use—or fail to use—stories in their analysis, and why and how they should do so. What are some of the best strategies and practices to creating effective data visualizations and presenting in front of an audience? In this presentation to the Tableau User Group in Washington, DC, I talked about strategies they should employ to effectively communicate their data. In this workshop the day before the Population Association of America annual conference, I spoke to an intimate group of researchers and analysts about better ways to communicate their work. We also worked in small groups on specific visualization challenges. In this keynote address at the 2014 Socrata Customer Summit, I described the different types and purposes of data visualization products. I also talked about my Graphic Continuum project using a circular narrative storytelling device based on a popular kid’s book. In this keynote address at the 2015 CDO Executive Summit, I talked about how organizations are beginning to trade in the powerful currency of data. I shared insights into how using data visualization can spark cultural shifts within organizations and improve the way they collect, analyze, use, and publish their data and insights. Why am I sometimes frustrated by data visualization? Because people tend to get obsessed with the latest tool or technology, or I can’t create something as beautiful or engaging as others. In this light-hearted talk, I poked fun at the data visualization field. Jon Schwabish – How I learned to love data visualization (again) from VISUALIZED on Vimeo. In this “short story” talk at the Tapestry Conference, I posed the question of ways in which people working with data can do a better job communicating large numbers. My “Goofy Comparisons” suggests that taking large numbers and placing them in a familiar context can be a useful strategy. A poster and smaller letter-sized graphic of nearly 90 different graphic types across five main categories to help you develop ideas about ways to visualize your data. 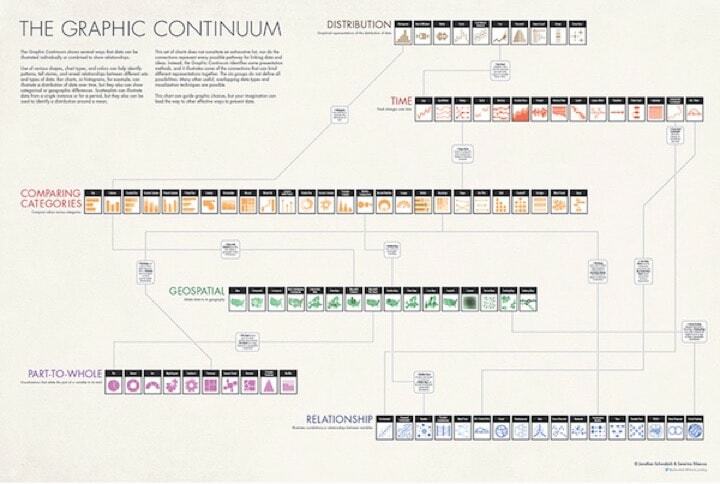 The Graphic Continuum won a “best of” award at the 2014 Kantar “Information is Beautiful” Awards, and was named one of the 100 best infographics of the past decade by Visual News. An infographic I created when I was working at the Congressional Budget Office that showed the basic levels and growth in a variety of government programs aimed at supporting people and households with low levels of income. A letter-sized infographic on the Congressional Budget Office’s long-term budget outlook. This infographic was used by Congressman Chris van Hollen to demonstrate the long-term budget situation facing the United States. 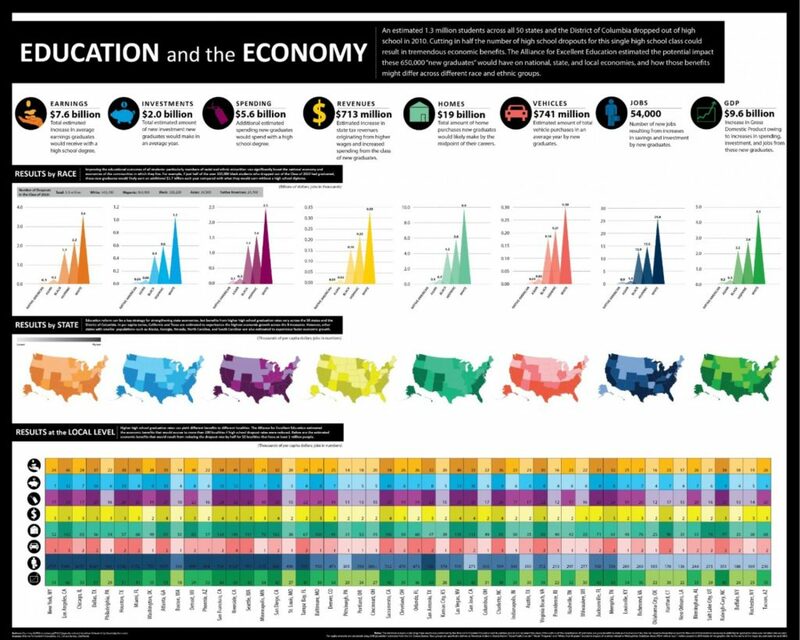 Winner of a NBC News and Visualizing.org contest to visualize data about education and the economy in the United States. The infographic was featured at NBC’s Education Nation conference in New York City in 2011. A set of 11 interactive charts that show key facts, trends, and statistics about the Disability Insurance program. Abstract: The Social Security Disability Insurance (DI) program provides benefits to nearly 9 million disabled workers, almost six times the number who received benefits in 1970. DI beneficiaries’ eligibility for other benefit programs can affect their decision to apply for DI, affecting caseload growth and federal budget outlays. This brief describes these program interactions and what they mean for the DI program. Abstract: Social Security provides benefits to nearly 9 million disabled workers, a quarter of a million disabled widow(er)s, and about a million adults whose disabilities began in childhood. We examine gender, age at disability onset, family circumstances, impairment type and severity, and health care and long-term service needs. Abstract: Open data—data that can be freely used, modified, and shared by anyone for any purpose—is key to creating an accountable and effective government. Mayor Bowser and her staff will need to firmly establish the policy and practice of open data, catalog current data assets, build a supportive culture, and engage external stakeholders. Abstract: Once upon a time, a picture was worth a thousand words. But with online news, blogs, and social media, a good picture can now be worth so much more. 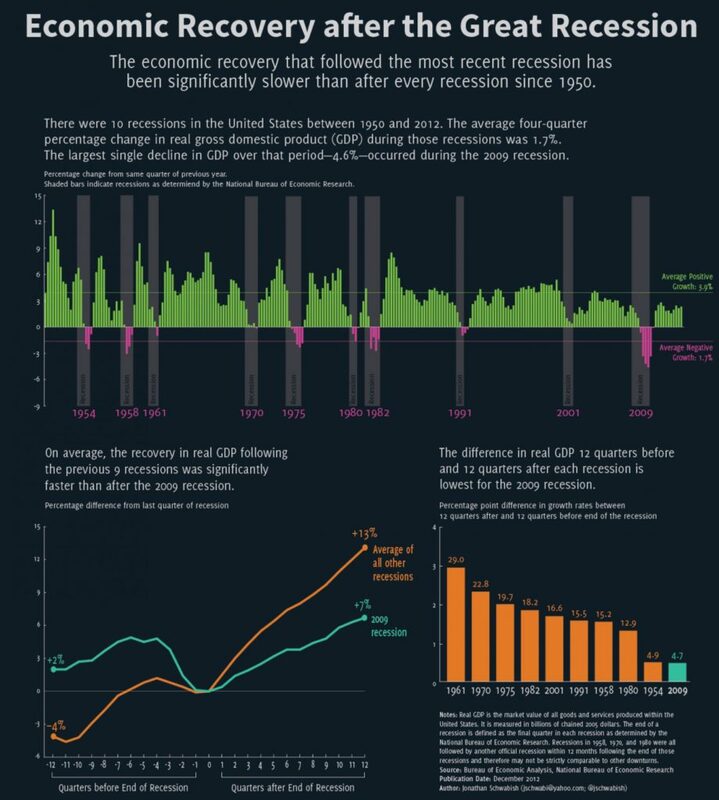 Economists who want to disseminate their research, both inside and outside the seminar room, should invest some time in thinking about how to construct compelling and effective graphics. My chapter in this book describes six potential sources of data bias and how those biases occur in administrative and survey data. Abstract excerpt: We document trends in the volatility in earnings and household incomes between 1985 and 2005 in three different data sources: administrative earnings records, the Survey of Income and Program Participation (SIPP) matched to administrative earnings records, and SIPP survey data. In all data sources, we find a substantial amount of year-to-year volatility in workers’ earnings and household incomes. Abstract: In the absence of significant changes in policy, rising costs for health care will cause federal spending to grow much faster than revenues, putting the federal budget on an unsustainable path. Although long-term budget projections are highly uncertain, under any plausible scenario rising costs for health care and the aging of the U.S. population will cause federal spending to increase rapidly. Visual.ly | Can Government Learn from Data Visualization?